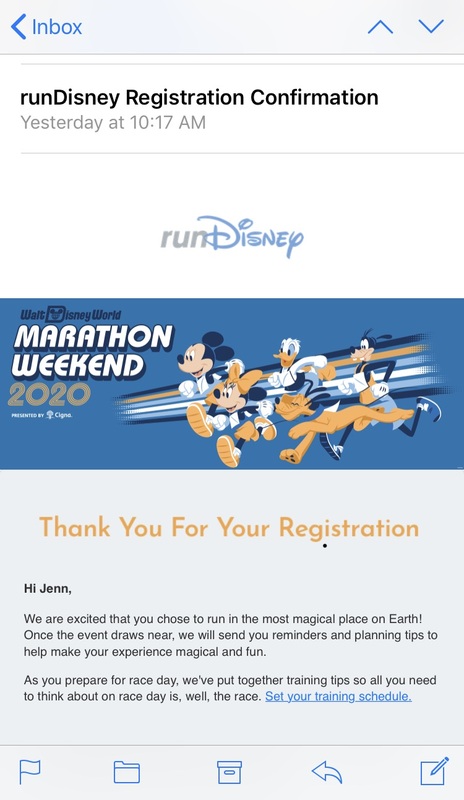 Today in surprising turns of events: yesterday I registered for the 2020 Walt Disney World Marathon. I KNOW! Shocking! I've only done it the last 5 years in a row while periodically gushing about how it's my favorite thing to happen all year. It feels especially important to me right now as I am on a temporary runDisney hiatus given our move to Puerto Rico. Indeed, preliminary research seems to suggest I don't have a ton of races to choose from here at all. 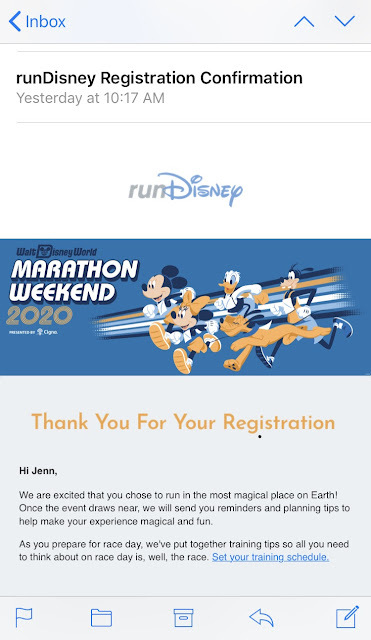 I hope to get right back in the thick of things next year, but for now the WDW Marathon is the only definite event on the ol' race schedule. I also locked down a room in advance: once again I rented DVC points and am staying in Kidani Village for 3 days! Yay! I must admit I'm experiencing the teensiest skosh of buyer's remorse, only because I have stayed there before and maybe I should've chosen something different? But none of my other options were super compelling and anyway I did love Kidani last time. Next year I'll have to get on my reservation sooner so I have more choices. I haven't yet decided if I'll be going into the parks this time, but I'm leaning toward yes. Probably DAK since it's my favorite park and maybe also the Studios since I still haven't seen the new Toy Story area? I know Galaxy's Edge will be open at that point too and full of crowds but I can give that a wide berth for the time being... many things to ponder.